P-51 Mustang | Just Shooting Memories! I got an account over at 500PX a while back, but did not actually start using it until the other day. You can check my profile out at 500PX. 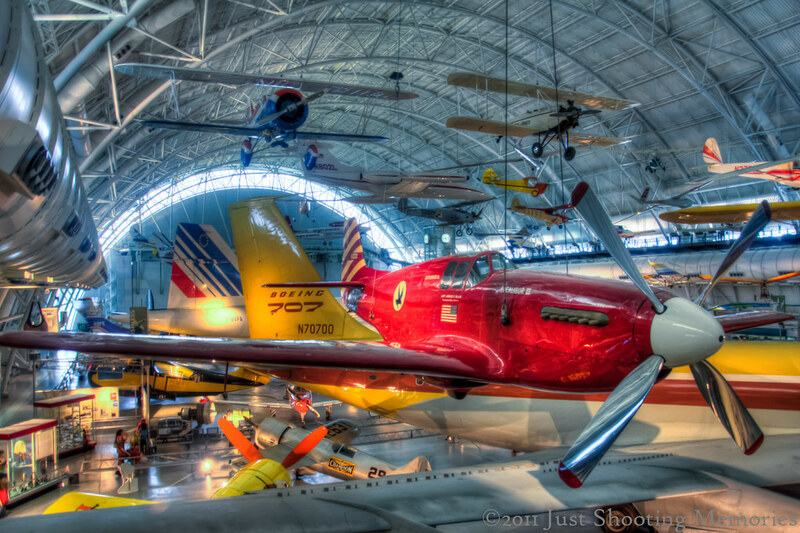 The Smithsonian Air and Space Museum’s Udvar-Hazy center is huge. All of the planes, helicopters, space ships and other flying things are all full size. There are tons of them. Enough that I was unable to see all of them in the few hours I had to spend there. This is the Excalibur III a long distance flight record setting P-51 Mustang. It has a wingspan of 37 feet. As you can see, there are numerous planes behind this one and this is in the middle of the building. Behind me is another wing of the building which is just as full. If you look just below the wing, you can see several people on the ground level of the center. You know it’s a big museum when you see a Boeing 707 just behind the P-51! What a cool plane. The “Cadillac of the Skies”. Kris, I was thinking “Ferrari of the Skies”. Gets both the luxury and speed.